Valentines Day is looming large (14th February just in case you need a reminder!) 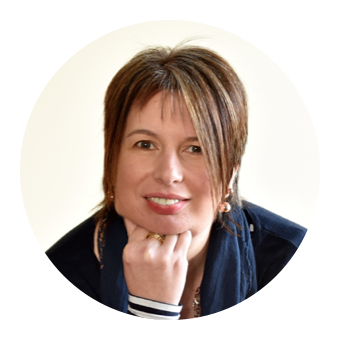 love is in the air and one thing that I know many of my blog and social media followers love is gin! I've teamed up with two fantastic gin brands to offer a romantic juniper giveaway. A bottle of limited edition BLOOM Gin and a bottle of Thomas Dakin Gin. I'm also sharing a couple of gin based cocktail recipes that would be perfect to share with the one you love. 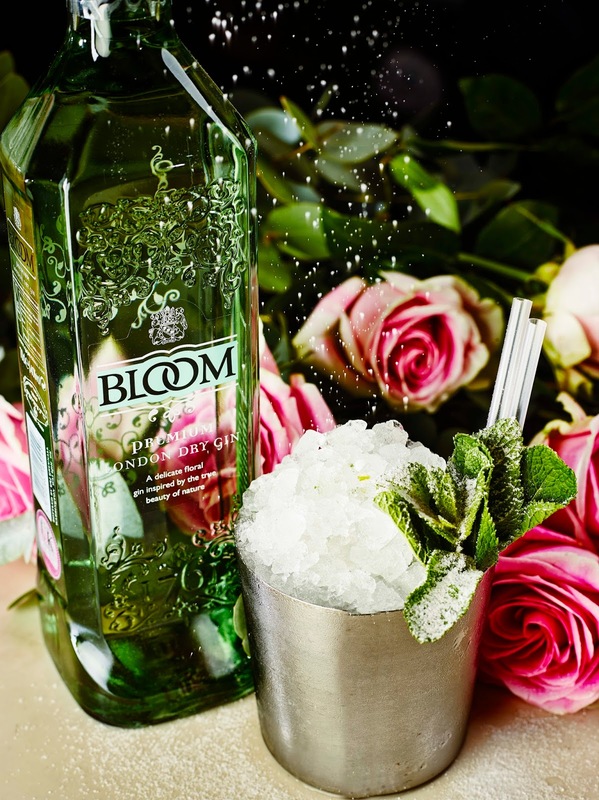 The BLOOMing Valentine Cocktail has been created especially for Valentine's Day 2016 by the world's first female Gin Master Distiller, Joanne Moore. Now there's a job I'd like to have! They kept that one quiet in the careers guidance talk at school. BLOOM Gin, the luxurious floral London Dry Gin inspired by nature, is the perfect gift for Valentine’s Day. 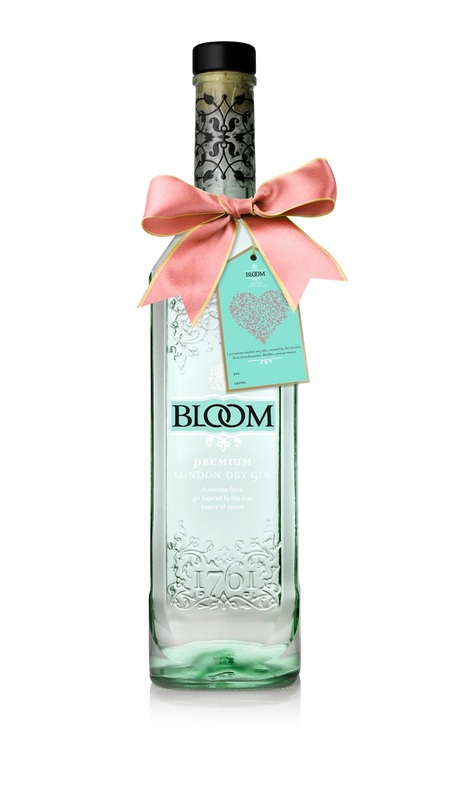 This limited edition bottle of award-winning BLOOM Gin comes complete with a pink bow and a ready-made gift label with space to personalise. BLOOM Gin is distilled with the botanicals of honeysuckle, chamomile and the citrus fruit pomelo and mixes equally well with a good quality tonic or in a selection of cocktails perfect to celebrate Valentine’s Day, such as the BLOOM Gin Fizz with Prosecco. BLOOM London Dry Gin is available from Waitrose, Sainsbury’s and Ocado. Price from £24.00. 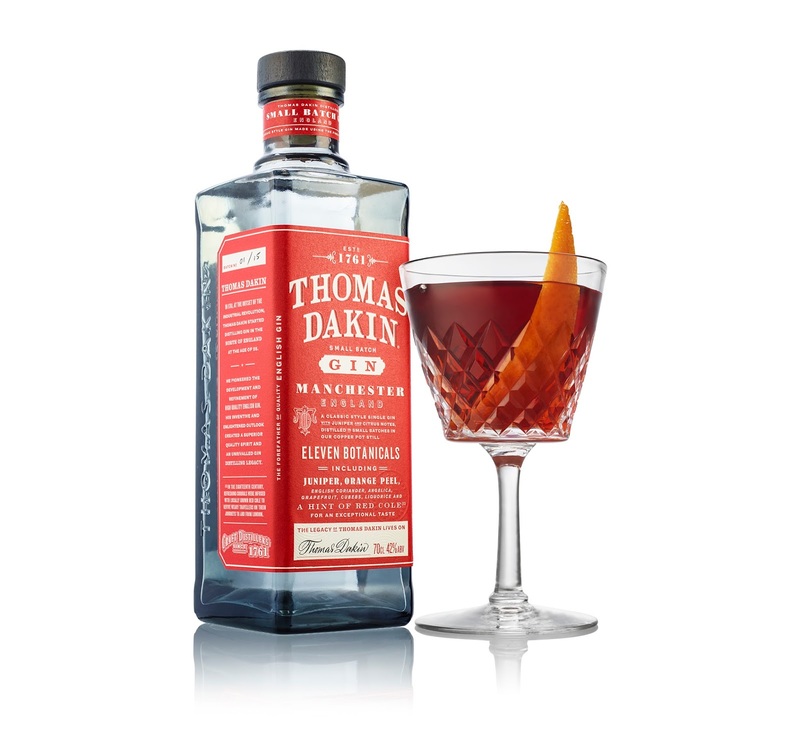 Thomas Dakin Gin is a classic style London Dry Gin distilled in small batches in a baby copper pot still. The Master Distiller has included eleven botanicals including juniper, orange peel and English coriander with the unique addition of red cole (horseradish) to give the gin its distinctive sweet citrus and savoury long, lingering finish. 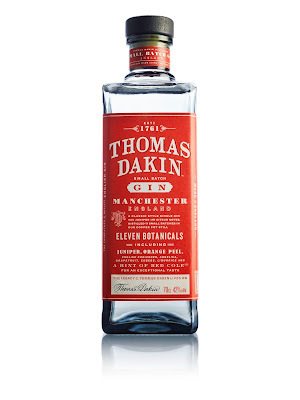 Thomas Dakin Gin was launched last year to great acclaim in Manchester and is distilled at the world’s oldest gin distillers in Warrington, Cheshire. 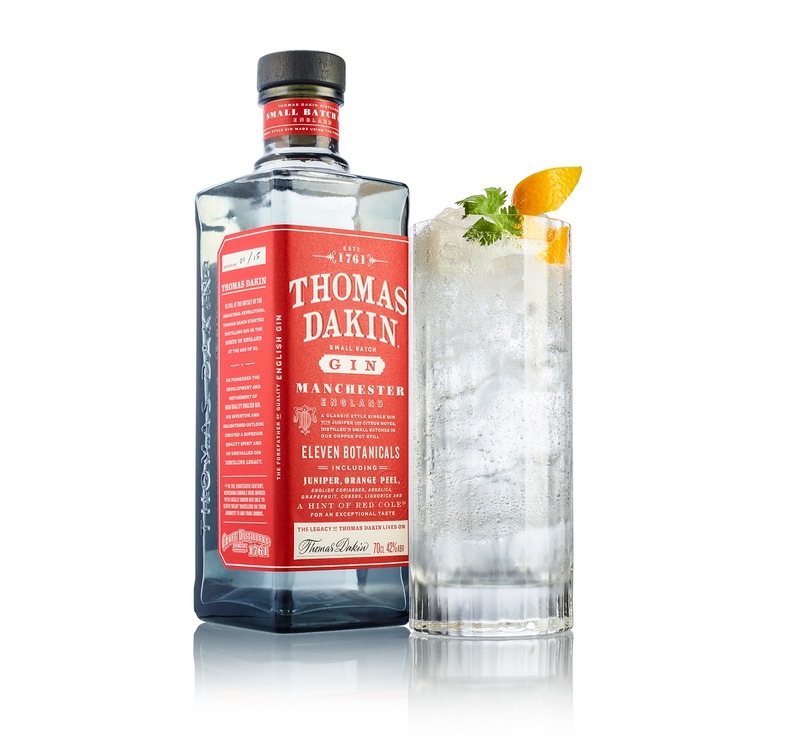 The “Tom & Tonic” is the signature serve with a good quality tonic water, a strip of orange peel and a sprig of coriander to garnish. Thomas Dakin Gin is available from Waitrose and Booth’s, price from £29.00. using long bar spoon. Fine strain into the chilled glass and garnish with an orange twist. Quintessential Brands Company Ltd have provided 1 x bottle of BLOOM Gin and 1 x bottle of Thomas Dakin Gin (combined rrp £53) as a giveaway for readers of Foodie Quine. No purchase necessary. Open to UK residents 18+ only. One winner will be drawn after the closing date. Normal restrictions apply. Promoter: Quintessential Brands Company Ltd., Melbury Park, Clayton Road, Warrington, Cheshire W13 6PH. Entry is via the Rafflecopter widget below. To enter, let me know in a comment "What's your favourite mixer with Gin?" For additional bonus entries you can follow me, BLOOM Gin and Thomas Dakin Gin on Twitter, Tweet about the Giveaway or like me on Facebook. Giveaway ends 14th February 2016 12:00am. Good Luck! Disclosure : Recipes and images courtesy of Quintessential Brands Company Ltd, All views expressed are my own. This is not a paid post but I have been compensated in Gin. Cranberry and a dash of lime. Raspberry lemonade. I don't know if that's weird lol. I am a huge fan of rose tonic but then I love anything a little bit floral! Tonic and garnished with a slice of lime and a sliver of fresh ginger. I love the singapore slings my lovely dad makes for me on a Friday evening, we share those and memories of my mum & dads trip to Singapore. Plain old Tonic Water is my favourite! cannot beat a g and t! Tonic Water - it is the perfect pairing. Good old tonic water and a slice of lemon! Diet sprite, a wedge of lime and loads of ice!! tonic water and a slice of fresh lime every time. I love it with a drop of tonic water! Slimline tonic and a generous twist of lime for me. Has to be Fever Tree tonic water in our household! Classic Tonic- with a slice of cucumber. Perfect and crisp! Fevertree tonic and a slice of grapefruit. Tonic and a squeeze of lime. Cheers! Tonic. Can't beat a G&T! Sloe gin is fab with rose lemonade! Tonic. Ice & a slice! Bitter lemon - make a refreshing drink on a summers evening! Tonic water. My current favourite addition is a slice of blood orange. I do just like a classic gin and tonic. Fever tree (light) tonic! Delicious. I used to be a lemonade girl but cannot believe that I ruined so many good gins! Definitely a tonic lady now. That bottle of BLOOM looks so pretty. I just have tonic water as I don't want to mask too much of the taste of the Gin, especially if it is already flavoured in any way. Fever Tree tonic is the nicest, but I used to do a Kansas City Ice Water which was gin, vodka, soda water, and Sprite! Very nice! Fever Tree tonic - I thought expensive tonic water was a waste until I tried it, and now nothing else is the same! With a slice of lime or apple.....mmmmmmmm! Just simple tonic water. Although last night at a gin bar, we had gin, tonic and Guava juice which was lovely! I love gin and tonic with a slice of lemon. BTW- Bermondsey Tonic Water.Only the best. Fever Tree Tonic Water. Love it! pineapple juice! Makes me feel like I'm on holiday!